Too Faced Peach Perfect Setting Powder: The Best Powder Of Them All? 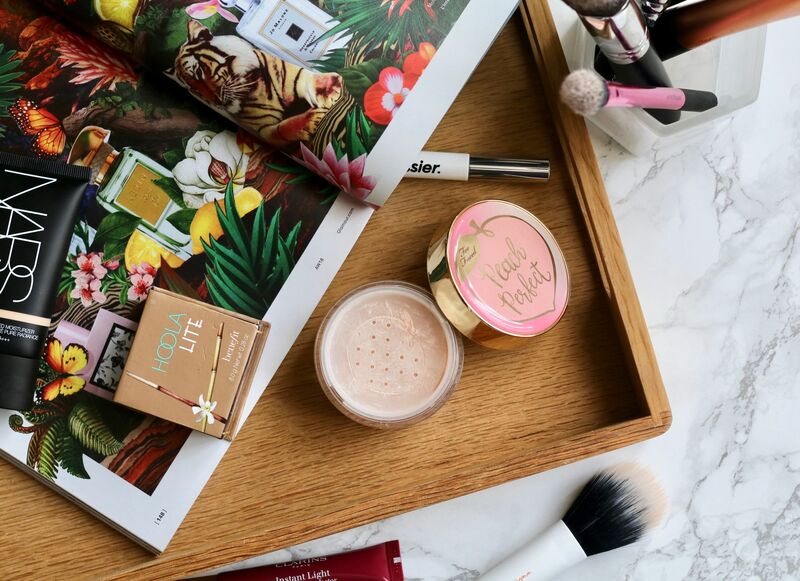 If you follow me over on my Instagram – or are an avid reader of my blog – you’ll probably already know how much I love using the Too Faced Peach Perfect Mattifying Setting Powder, and I wanted to share more of my thoughts about it in a separate dedicated post. 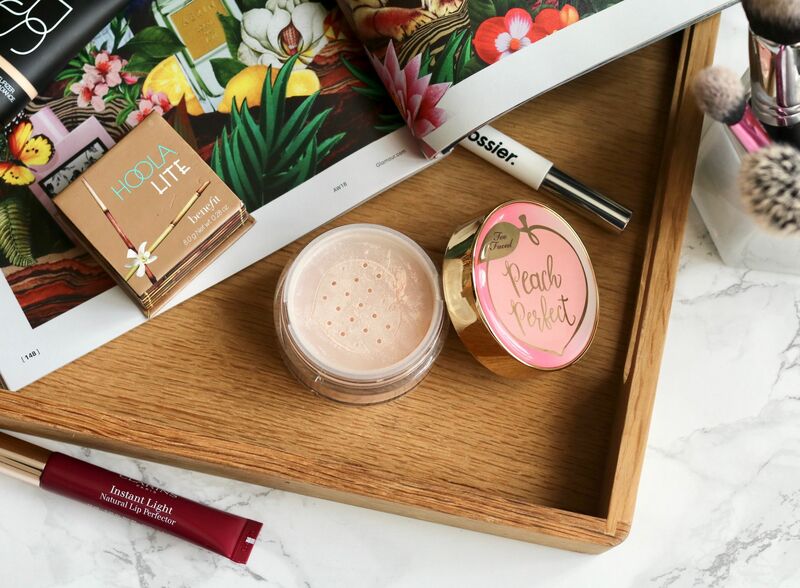 Too Faced expanded their peach range in August 2017 to include lip products, foundation and much more, including the Peach Perfect Setting Powder. I have previously mentioned this product in my wedding guest makeup post, which was the first time I tried it, and thankfully I loved how it looked and was very surprised by the results. As with all the products from the Too Faced peach range it does have a light peach scent, but this doesn’t linger on after applying it. One thing I did find funny is that when I accidentally got some of the powder on my lips I noticed that it actually tastes like a sweet peach. Now I don’t necessarily recommend you trying to eat the powder, but I thought it was a funny edition that I’m not mad at. The powder itself is translucent and very finely milled – and is probably the most finely milled powder I have tried (so far). Due to it being fine it smoothes away pores easily, as well as any shine. 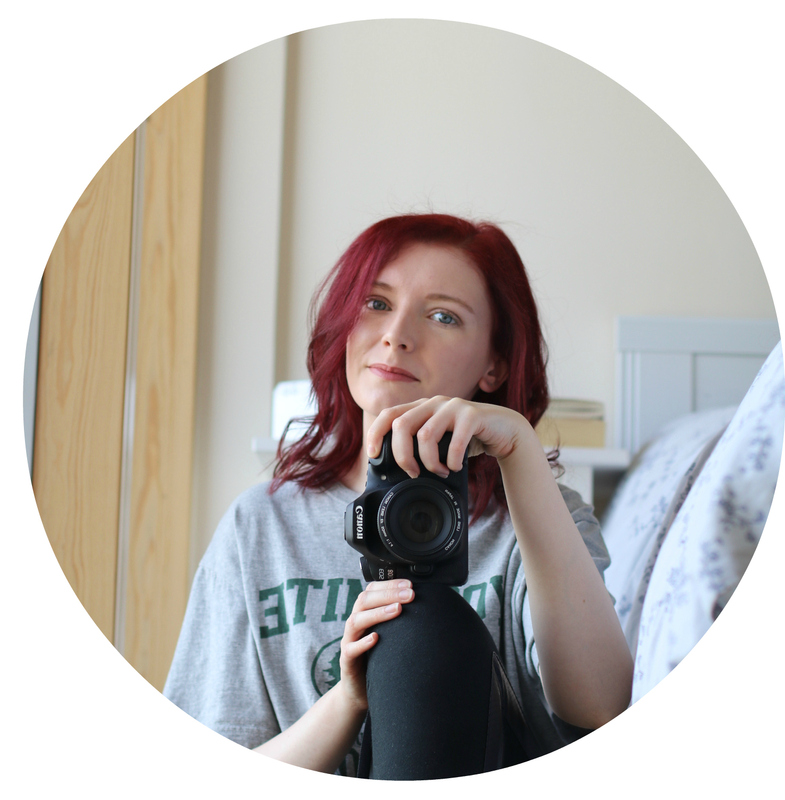 The powder is certainly mattifying, but doesn’t stop oils coming through completely, so you may need to blot half way through your day, however I found that even without blotting my skin still looks really good in the evening before I take my makeup off. Like with any powder, I wouldn’t suggest going in heavy handed, but if you did this powder doesn’t cake up easily – at least with the foundations I have tried I didn’t experience this. Another great perk about the Too Faced setting powder is that it hasn’t irritated my skin. I have oily and mildly sensitive skin, which has been previously been irritated by scented products, but thankfully this is not the case with this powder. The packaging is cute – just like the rest of the peachy range – and is travel safe with a double closure that seals the powder in the main compartment and means that if the lid gets opened slightly it is highly unlikely that any powder will escape, which is great as I don’t feel like I have to worry about it spilling on a long haul flight, unlike with other powders I have travelled with before… yes Laura Mercier loose setting powder I’m looking at you. 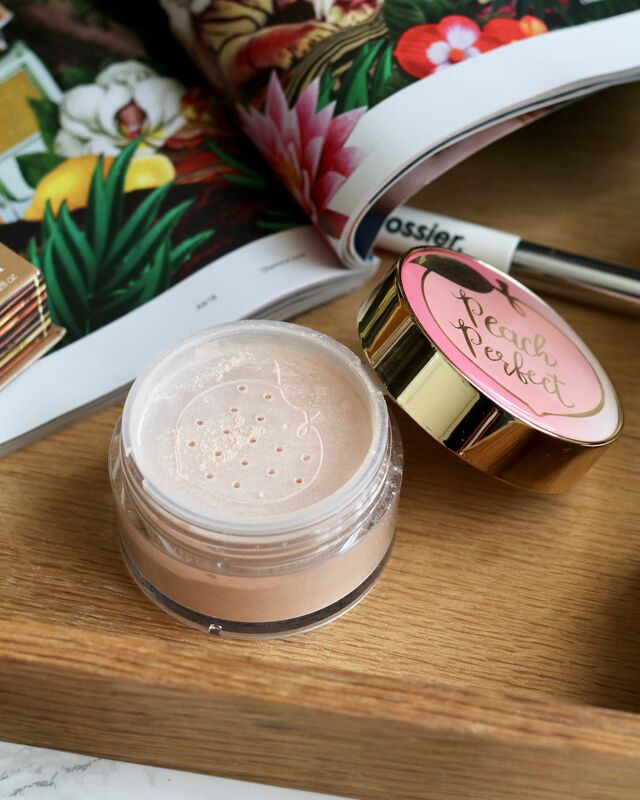 I don’t think there is much more I can say about the Too Faced Peach Perfect Setting Powder, except if you have oily skin – or really any skin type – you need to give this one a try! I was wondering what this powder was like and I test blog reviews more than the ones on the website so thank you for sharing!